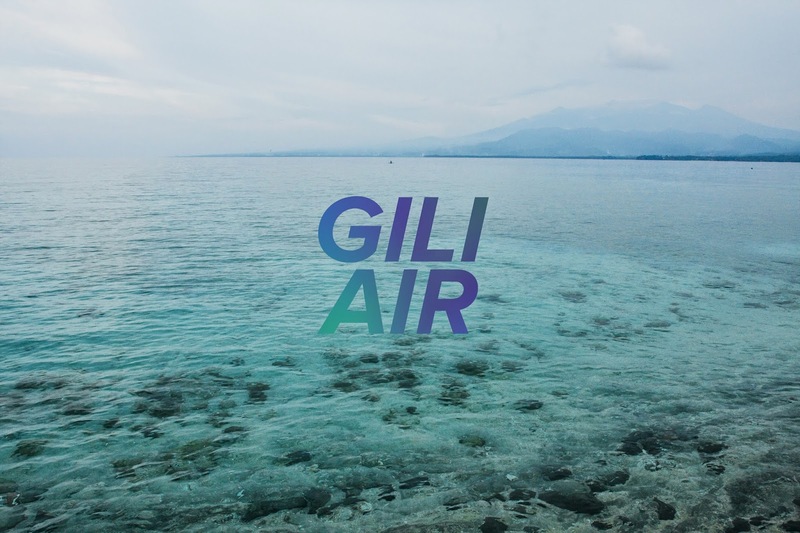 Gili Air ~ this anomal life. 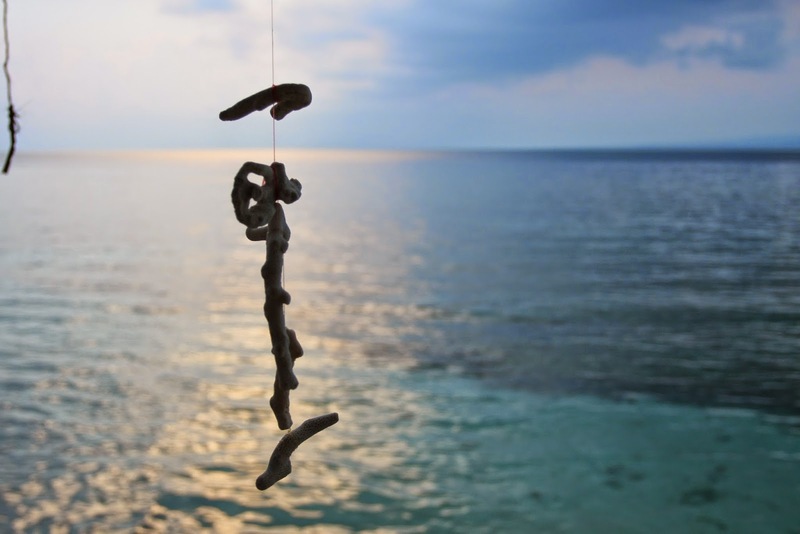 The Gili Islands are a trio of small islands northwest of Lombok, Indonesia. 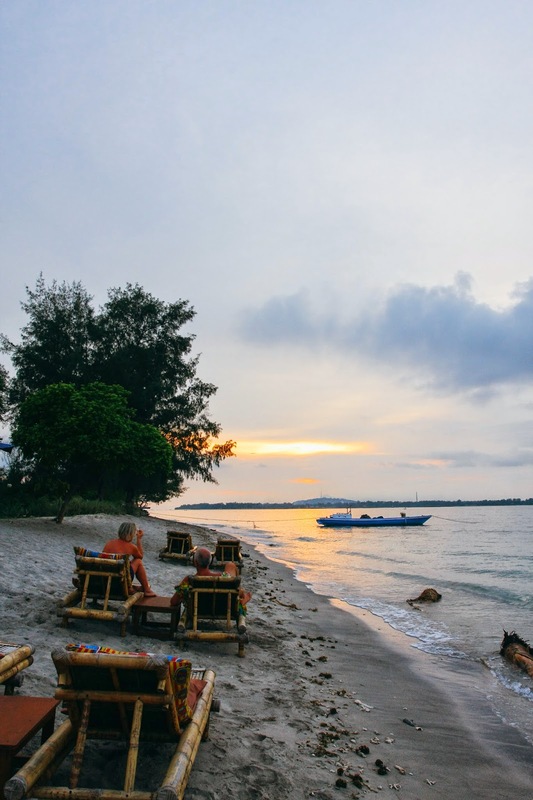 The largest and most popular island is Gili-Trawangan. 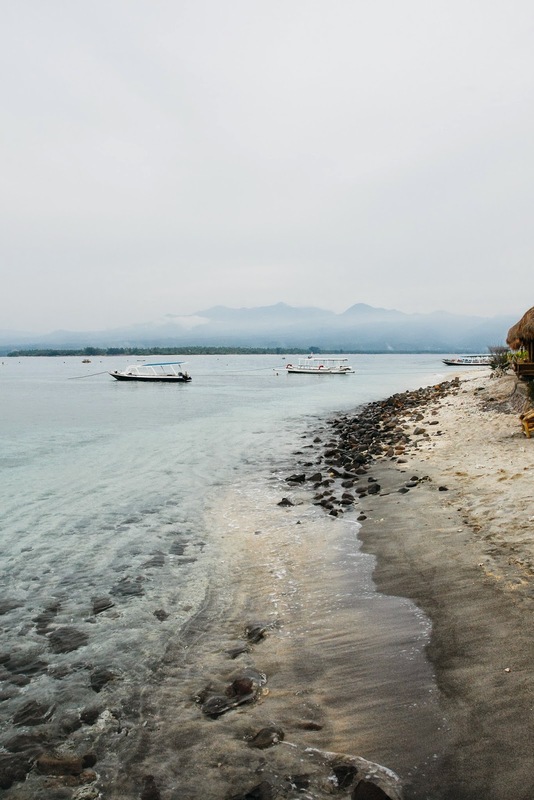 Gili Air is a smaller island, less popular with tourists but much quieter. 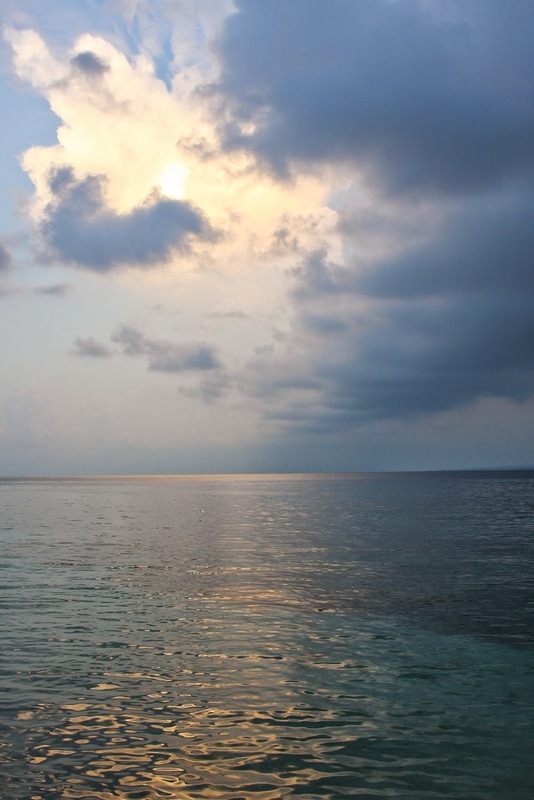 We embarked from Serangan, Bali via a Marina Srikandi fast boat. 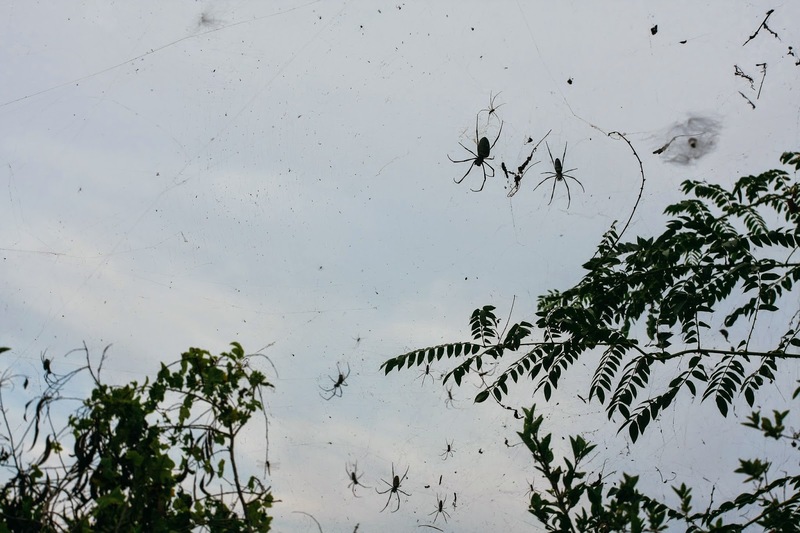 Two hours later we arrived at Gili Air. We stayed here for two nights at the Turtle Beach Hotel and we had a wonderful time snorkeling, scuba diving and relaxing. 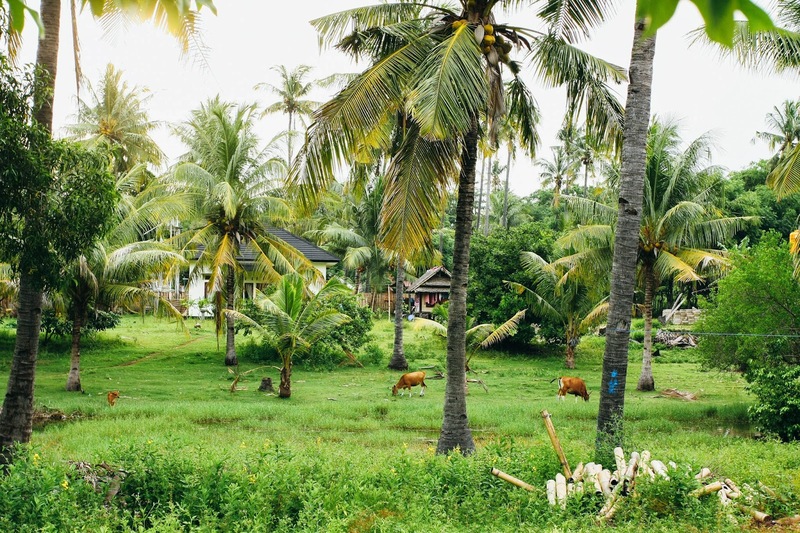 There are no motorized vehicles on this island. 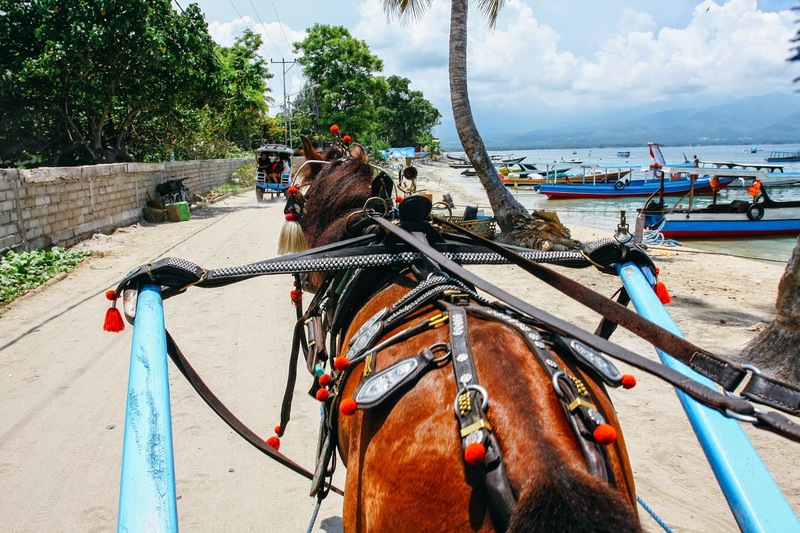 You either walk, bike or take a cidomo (a horse-drawn cart as pictured above) to get your luggage over to your resort. 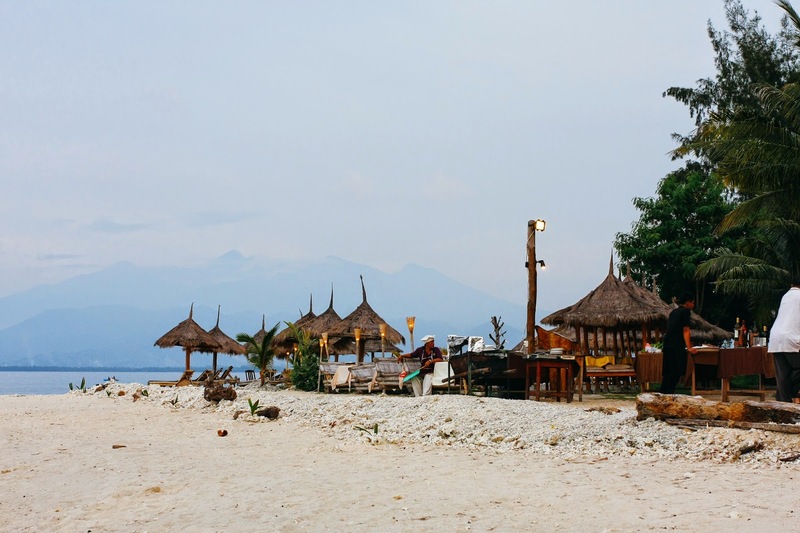 Gili Air island is not really that developed, which is a nice thing for those who want a remote island experience. 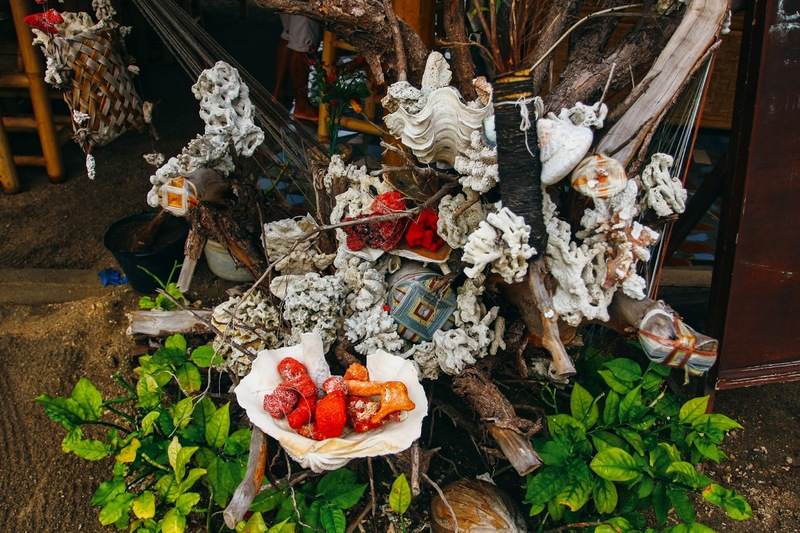 Cool decorations made from things found in the ocean. 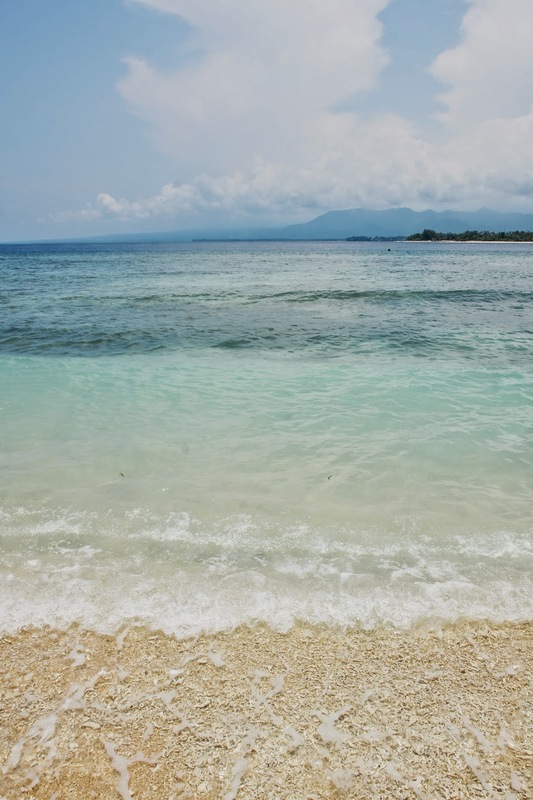 The blue water of Gili. Wonderful for snorkeling and diving! 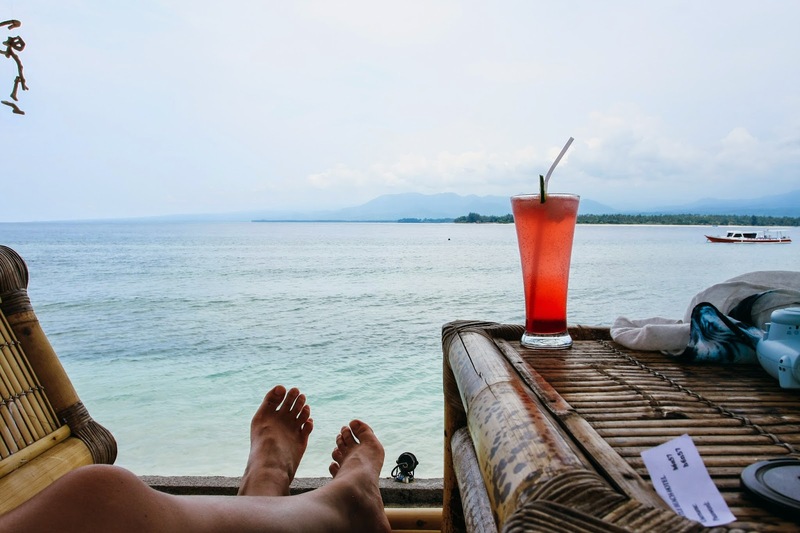 The mountains of Lombok in the background. If you come here you must go scuba diving! 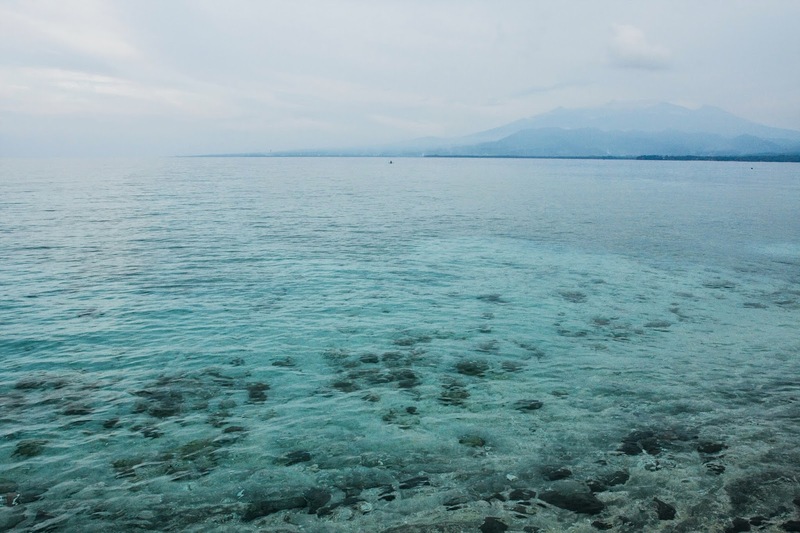 We went on an intro dive with Manta Dive Gili Air and it was great. A chef awaits potential customers. They showcase the fresh catches of the day and BBQ them for ya. A lot of tourists here are foreigners--I don't think I saw an Indonesian or Chinese tourist during my time here at all. This was candid, I promise.